Anodising is a considerably more environmentally friendly process than others, such as forms of electroplating. Sulphuric acid anodising involves no heavy metals nothing much more dangerous than can be found in a household kitchen or laundry. When considering the environment it is often the best to take into account the whole process, such as transport for example. To save the environment why not drop off more work when you collect rather than making a repeat journey for example. Anodising does use a fair amount of electricity, being an electrolytic process, but it does produce a coating that is hard wearing, durable and corrosion resistant extending the life of the finished goods and its aesthetic value. Chromium compounds can be carcinogenetic and at LBParkes we can see a day in the future when their use will be even further curtailed. To this end we offer Iridite NCP, a very environmentally friendly process with a minimal environmental impact. 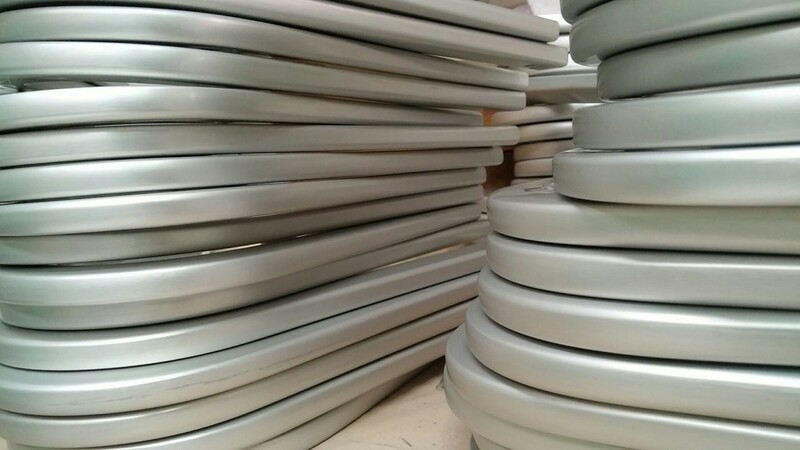 If you are looking for an environmentally friendly option for your powder coated components; we can anodise prior to the TGIC free powder coating of your choice. Anodising when performed by us allows for great powder adhesion and exceptional corrosion resistance ensuring a long life and lower impact for your component.